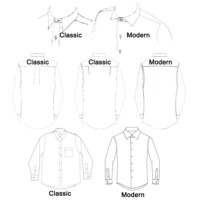 A dress shirt fit guide in this day and age is more complicated than ever before. The trendy shirt fit in the 80-90’s was what they called regular fit, or a box or square cut. The shirt was baggy around the body and not very flattering. 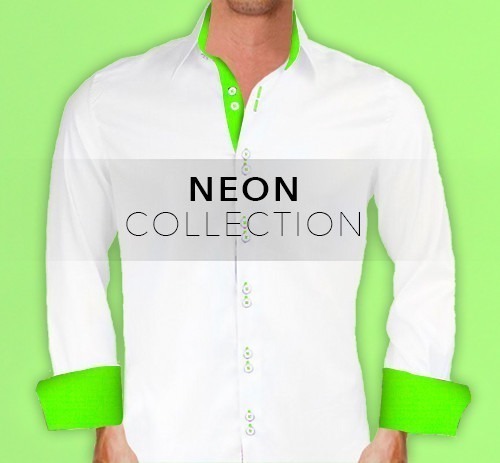 The current shirt trend is a very tapered cut of the body and even around the arms. See the illustration below. The sides of the traditional or regular fit were generally a straight cut and even went much lower at the bottom. The bottom is tapered more on the sides and hangs just low enough to tuck the shirt in or can be left untucked as a style as well. Both fitted and modern fit are the same. 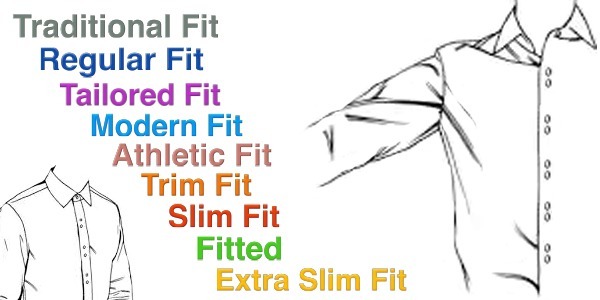 All these fits are essentially the same concept of fit but in different brands. 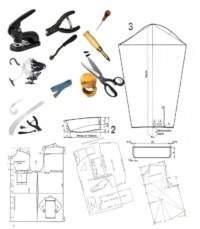 They all taper at the waist and may also have a yoke that is narrower from shoulder to shoulder. It is meant to fit a slimmer body comfortably and closely. 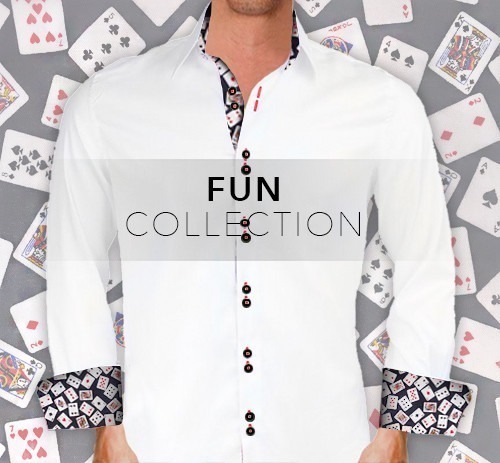 Slim fit dress shirts almost always have darts on the back for a more tailored fit at the waistline. When laid flat, this shirt’s sides curve inward noticeably. The arm circumference is also a little bit tighter. 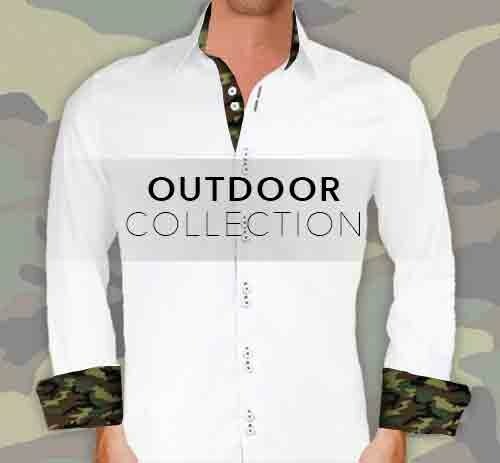 There is no industry standard of fit, therefore relying on the same size isn’t always going to fit the same in different brand name shirts. 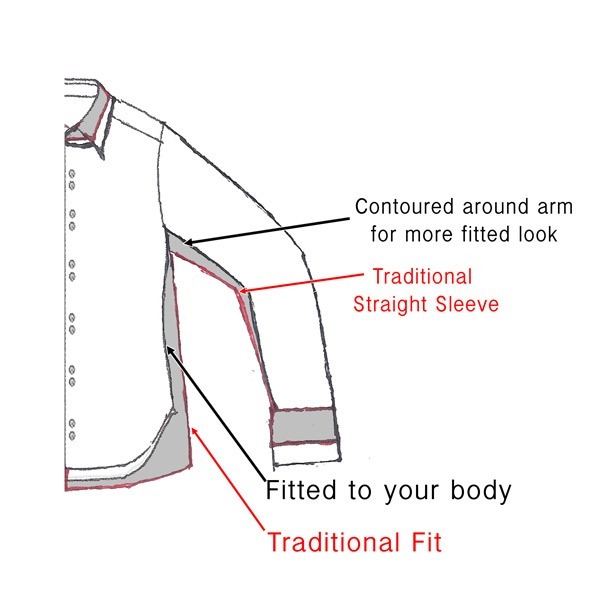 We created fitted as one of our two types of shirt fits. 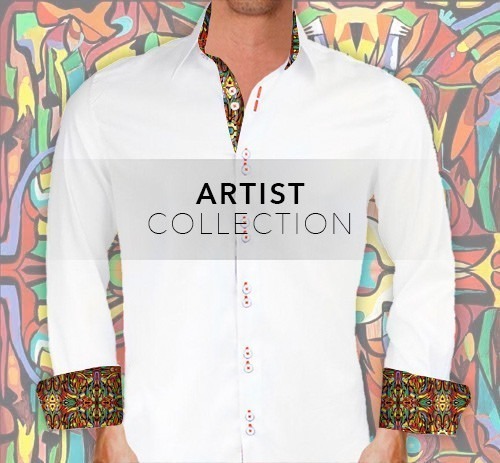 If you are uncertain of how our shirts fit, you can submit your actual measurements with your order and we can make the shirt made to order and keep a file of your name. 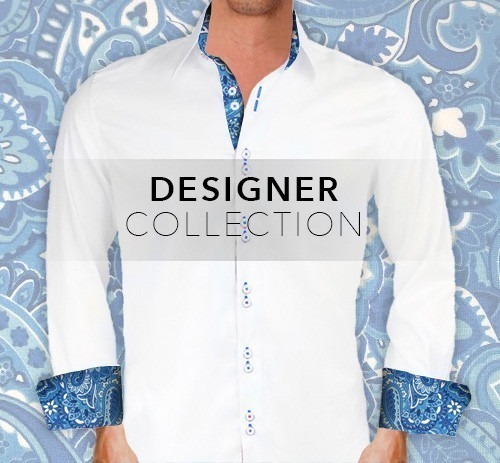 Men’s dress shirts are designed with body shape in mind, so the silhouette of the shirt is the primary consideration when shopping for the right fit. By measuring the chest just below the arms, and at the natural waistline, you will have an idea if you wear a fitted or a modern fit.